The Center for Disaster Research and Education (CDRE) takes great pride in its association with a number of educational and research projects across the nation. The CDRE has been involved in a variety of community-based research projects including the development of disaster plans, state hazard mitigation planning, business community branding and education. The Center's faculty and students conduct research on various issues related to disasters, mitigation and planning. The CDRE has been involved in research funded through the National Science Foundation, Federal Emergency Management Agency, Pennsylvania Emergency Management Agency and in collaboration with other academic research centers. 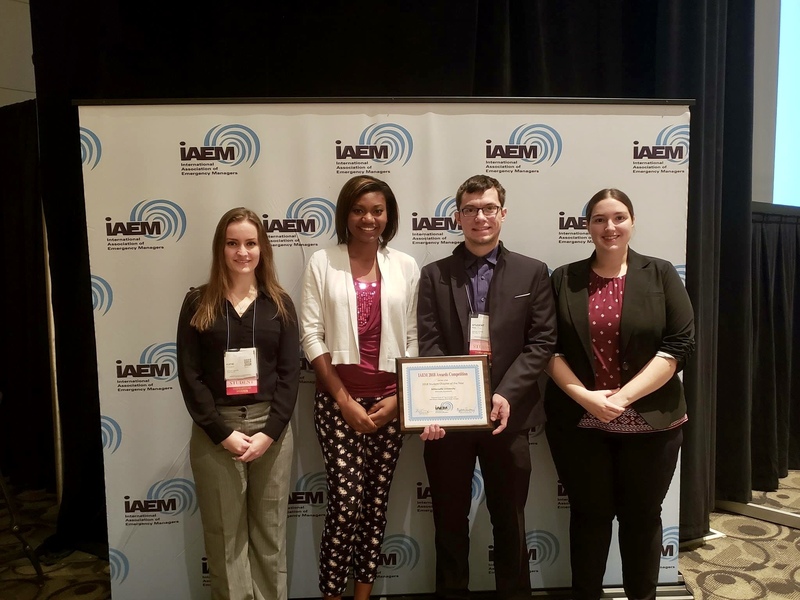 The Millersville University’s Student Chapter of the International Association of Emergency Managers (IAEM) has been selected to receive the 2018 International Association of Emergency Managers Student Chapter of the Year Award. The Student Chapter of the Year Award recognizes an IAEM-registered student chapter which has made significant contributions in promoting IAEM, the Student Council and the field of emergency management through public awareness, increasing membership, showing leadership and initiative in education, and increasing the professionalism of emergency and disaster management. The Chapter will be presented with the award at the IAEM 2018 Annual Conference (Oct 19-24, 2018) in Grand Rapids, MI. Some of the officers including Amber Liggett Katie Prichard will attend the meeting to receive this award. This is the third time that the chapter has received this award since its establishment in 2010. Dr. Sepi Yalda serves as the Chapter’s faculty adviser. Emergency Management Program is "Best"